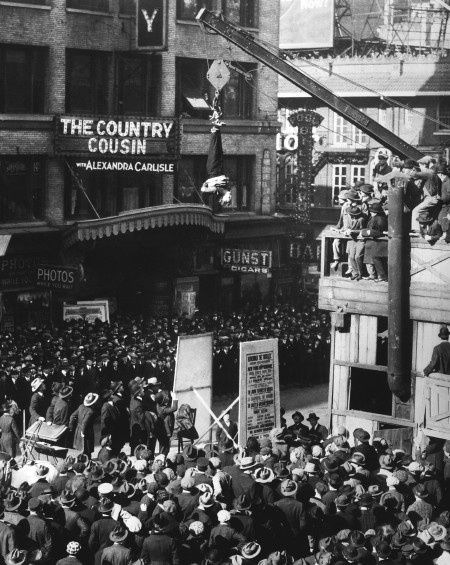 Harry Houdini escaping a straitjacket while suspended upside down in Manhattan (Broadway and 46th Street, New York: 1907). — Harry Houdini, a favorite saying frequently cited when signing books, photographs, playing cards, etc. 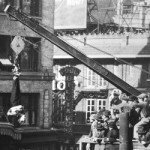 Posted on behalf of Harry Houdini on Wednesday, August 25th, 2010 under Quotations.